Choosing Child Care Find out more about choosing the right fit for your child. 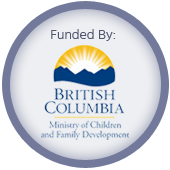 Licensed Family Child Care (LFCC): 7 children including the care provider's own children under the age of 12. No more than: 3 children younger than 48 months old and , of those 3, no more than one child younger than 12 months old or 4 children younger than 48 months old and, of those 4, no more than 2 children younger than 24 months old. In Child's Own Home: Care in the child's own home. Children in the family. These child care options are available in British Columbia . For more information contact the Child Care Resource and Referral Program in your area. Family and Group child care are licensed through the Community Care Facilities Branch, Ministry of Health. View more Family Resources. My friends all tell me how their children often got sick within the first year of attending child care. Is there anything I can do to prevent my child from getting sick so much? Your friends are right, young children do get more than their fair share of illness when they attend child care. Children in child care environments have many more opportunities to come in contact with germs due to the number of children in the facility. Infants and toddlers want to touch and taste everything, this is how they learn. Families and caregivers can limit the spread of germs in child care environments by practicing some preventative measures. Ask your child's caregiver what sanitary procedures are in place. Does the caregiver wash toys daily, if not throughout the day, sanitizing with a diluted bleach and water solution or in the dishwasher? Do the soft toys, crib sheets, and blankets get cleaned weekly? Are parents and caregivers aware of appropriate diaper changing procedures? Do children and caregivers wash their hands routinely throughout the day, on arrival, after toileting, after coming in from outside play, before food preparation, eating and at the end of the day? Has your child had all the recommended immunizations prior to starting care? Finally, be respectful of the 'sick child' policies in the child care facility. A sick child coming to child care only encourages the spread of germs. I am going back to work next month and am worried about sending my 2 year old to child care. Is there anything I can do to prepare my child and myself for this very big change in our lives? First of all, you will want to find a child care setting that is right for your child. If your child is very outgoing then she may fit in very well with a larger group of children. Or your child may be one who gets overwhelmed very easily in a larger group setting and therefore a smaller setting or family child care setting would be more appropriate. You will want to choose a child care provider who will respect and support your ideas, who will provide a safe and healthy environment for your child and someone who will stimulate and nurture your child through their different stages of development. Once you have selected your child care provider and you are comfortable with the care she will be receiving you will want to introduce your child to the day care environment. Here are a few tips to help ensure this is a happy time in this change in your lives. Before the big day, plan on leaving her with someone for short periods of time and gradually getting to longer periods of time. Having these times where you are separate from each other will help her see that other adults in her life can take care of her and she can be safe and loved. Read stories to her about children going to child care. Our Early Childhood Development Resource Library has books on this subject. Take her to the child care setting you have chosen and let her explore both the inside and outside play areas while you are with her. This is also a great opportunity for her to get to know the other children and the child care providers who will be caring for her. Send a photo of your family with her on her first day and place it in a location she can easily access such as her cubby. Send her favorite stuffed animal or blanket to help her feel a connection to home. Whatever you do, do not leave without saying goodbye. Even if you know she will be upset. Leaving without saying goodbye can mean abandonment to her. Let her know you are happy with the situation, you love her and that you will be back for her. Ask about a gradual entry process. This is a process where you leave her for a short period of time and gradually increase the time spent. This is commonly done over the course of one week. Can you please tell me which is the best day care to send my child to? Child Care Resource & Referral programs can only provide you with referrals. We do not give out recommendations. The referrals are based on the information that you give to us which include, your name, address or the cross streets of the area where you would prefer the location of the child care, the ages of your children, whether you require full or part time care, approximate drop off and pick up times, and, if you have a school age child, the name of the school. We then match it up to the information that is given to us by the child care providers. Child Care Resource & Referral programs cannot guarantee the accuracy of the information nor the quality of child care. Once you have received the list of referrals you will want to conduct research of your own. See our page under the Parents and Families section on How to evaluate & choose a Child Care Provider. As well you will find more information in the booklet "A Parent's Guide to Selecting Child Care" which provides you with helpful information and checklists regarding choosing child care that is right for you and your child.